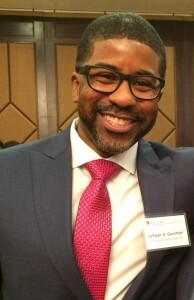 LeShan Gaulman, program director at Barrier Free Living’s Transitional Housing shelter, will be a panelist on the “Homelessness and Housing Insecurity: Challenges and Solutions” presentation Friday, March 23 at Lehman College. The conference addresses the challenges and solutions related to homelessness and has been coordinated by the Department of Social Work through a grant from the Health Resources and Services Administration. LeShan received the 9th Annual Emerging Social Work Leader Award of the National Association of Social Workers – New York City Chapter in 2015.